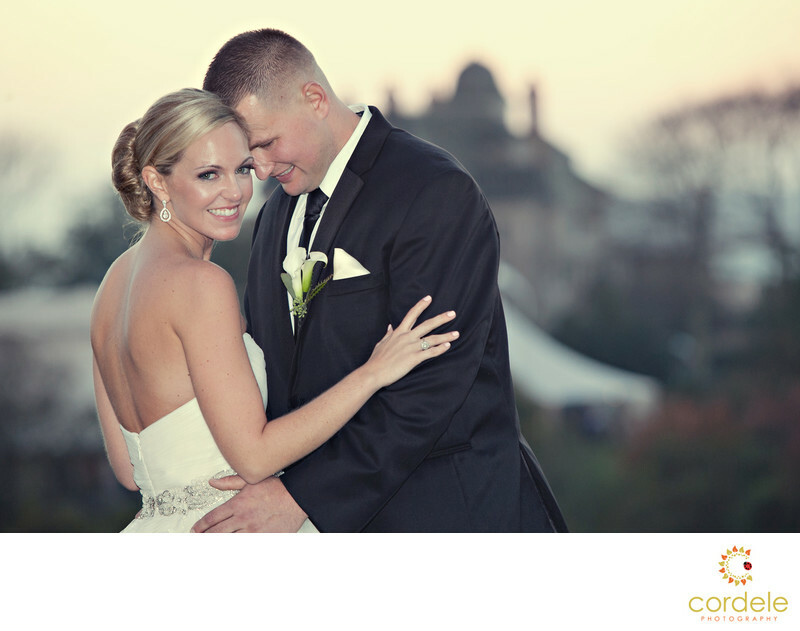 Shooting weddings in Newport Rhode Island is one of the best things about my job. Its one of the most beautiful coast lines in New England. Mandy and Kyle were married at the Ocean Cliff In Newport. They had a glorious but windy fall day. Mandy wore a Kenneth Poole wedding dress with the most beautiful LOUIS VUITTON Gold shoes. The groom wore a black tux that complimented the dress wonderfully. The bride got ready at the Ocean Cliff and we did Bridal portraits down at the gate house. We were able to get beautiful sunset photos over looking the ocean and the Newport bridge. We even went down after sunset to get some night photos of the location.